I'm a member of this fabulous private online shopping club called the Gilt Group, which basically has two or more sales a day on brands like See by Chloe, J. Lindeberg, Milly New York, Oscar de la Renta, Edun, 3.1 Philip Lim and all your other favorite glossy mag-friendly labels at SEVERELY discounted prices. With Sunday night at the annual Hollywood Life Style Awards in L.A. upcoming, I can't stop thinking about pretty dresses. Then the Gilt Group decided to have a sale on Nina Ricci -- designed by Olivier Theskyens, formerly of Rochas, by the way -- and there I saw two absolutely adorable dresses. And then I remembered I already had a dress to wear. I'm Lovin' it: OMFG (as Gossip Girl would say). My girl Ovitch scored us tickets to the Cut Copy show tonight. Apparently Ticketmaster released more online this morning, and she got on them just in time because 10 minutes later, they were sold out again. I love Cut Copy, but not as much as I do Ovitch right now. Hearts! I'm Over it: I badly, badly sprained a foot ligament after my night run on Tuesday. Basically, I'm limping and I have shooting pains in my foot when I walk. Not good. Especially because tonight requires me to dance my face off. 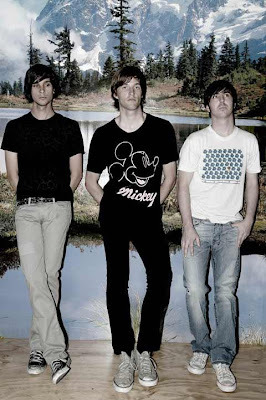 Track of the Day: Hearts On Fire by Cut Copy. For obvious reasons. There was a lot of fist pumping going on in Ovitch's car about half an hour ago.